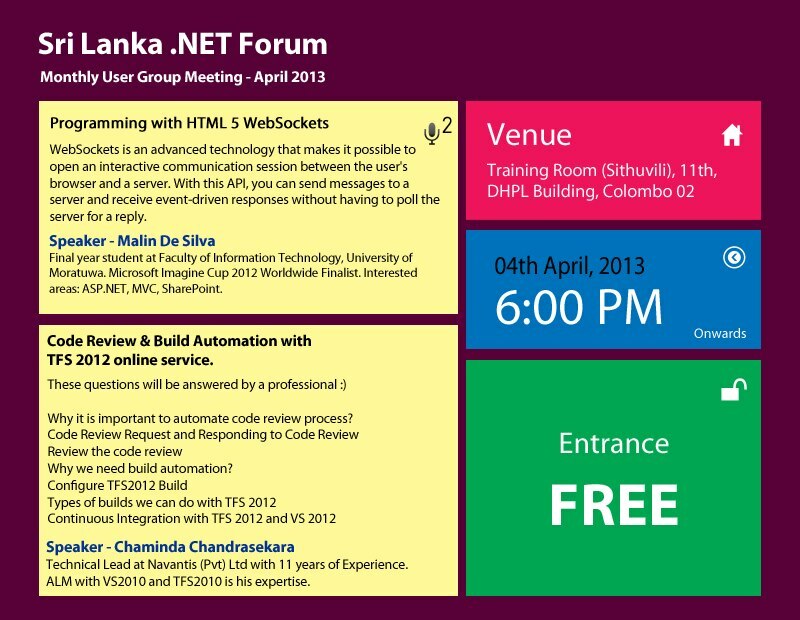 This is the my first presentation for the .NET Forum Sri Lanka and thought of presenting something that has been new and exiting yet not well sung which is the web socket programming feature that comes with HTML 5. If you have visited Cricinfo website, you might have seen the scorecard getting updated every 15 seconds. This is done by refreshing the particular div every-time using Ajax. Practically, there is no way a ball being bowled every 15 seconds and the server bandwidth gets wasted in hundreds and thousands times. Having HTML 5 does not make it always possible to save the bandwidth as far as the majority of browsers are not up to date of the users. But there is a big future for it. 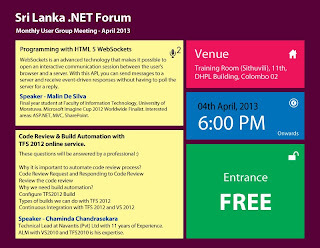 Here i take the knowledge about HTML5. You share important factors in this post.